Should You Convert Term to a Whole Life Insurance Policy? One strategy that life insurance companies may use to earn more is to try to have you convert your term life insurance into a whole life insurance policy. The tactics vary, which may include phone calls regarding the changes about your policy or letters about how you are nearing the deadline for your term life insurance policy. The wording makes it sound like you need to make the changes or you may lose coverage. It may be a good time to review the life insurance that you currently have to see if you need additional coverage because your situation has changed. In fact, most people will switch from whole to term. Learn whether or not converting your policy if a good idea. Is It a Good Idea to Change to Whole Life Insurance? Whole life insurance is not a very good option when you are looking at your different life insurance options. The monthly premium costs are quite a bit higher each month, and while you do build cash in the policy, the rate of return on whole life insurance policies is not good. Additionally, while you can cash out your policy eventually, your family does not get to keep the investment amount if they do end up using the policy as a life insurance policy. Whole life insurance is not the best investment for your money. The insurance agent may offer to convert it to a hybrid policy or a return of premium policy. Your best option is always a term life insurance policy. This offers the lowest monthly premium, which can make it easier for you to get all of the coverage you need for your family. Compare the different rate of returns on the investments. Make sure to determine the best option for your situation such as preexisting conditions that may have developed since you took out the policy. Whole life insurance is an insurance policy that you pay into for your entire life. It does not end after a certain number of years and as long as you continue to pay your premiums your loved ones will receive the benefit when you die. It also allows you to cash out the policy and then take the money that has been invested and use it for other things. The rate of return on these benefits is lower than other investments. The premium costs are higher than term life insurance. Premiums will stay the say throughout your life. You can cash out the policy for things like school or retirement. Rate of return is usually lower than what you would receive if you invested the money. Term life insurance is life insurance that covers a specific period of time. Generally, either ten or twenty years, but you can find other terms for the policy. You will pay the premiums for the length of the term, and if you die your loved ones will receive the policy amount. If you do not die during the term, when the term ends, you do not receive anything. However, the cost of insurance is much lower than what you would receive in a whole life policy. Lower premiums but has coverage for a limited period of time. Not a good option if you have a preexisting condition that would make qualifying for insurance difficult. Need to purchase coverage that will last as long as you need to bring in income. Isn't Whole Life Better Since You Can Cash It Out? Most people will pay their life insurance premiums each month without fail, but may move their investments to the back-burner or put off saving for retirement when things get tough financially.Professionals in the industry believe that it is better to have a whole life insurance policy because at least you are regularly investing the money. While it may be the case that you do put off investing when you are out of work or you need to cover an unexpected bill, you will still be better off investing the money yourself. If money gets really tight, you may no longer be able to afford the premiums for a whole life insurance policy, while you can afford to cover the term life insurance premiums even when you are unemployed. Instead of using whole life insurance policy make it a priority to invest the difference into either a retirement or investment account and you will come out ahead. Contact a financial adviser and see a comparison of what would happen if you invested the different in the market and compare it to the amount that you would cash out. Set up an investing plan instead of purchasing the insurance. Be sure to have adequate coverage for your needs. How Do I Handle a Pushy Agent? 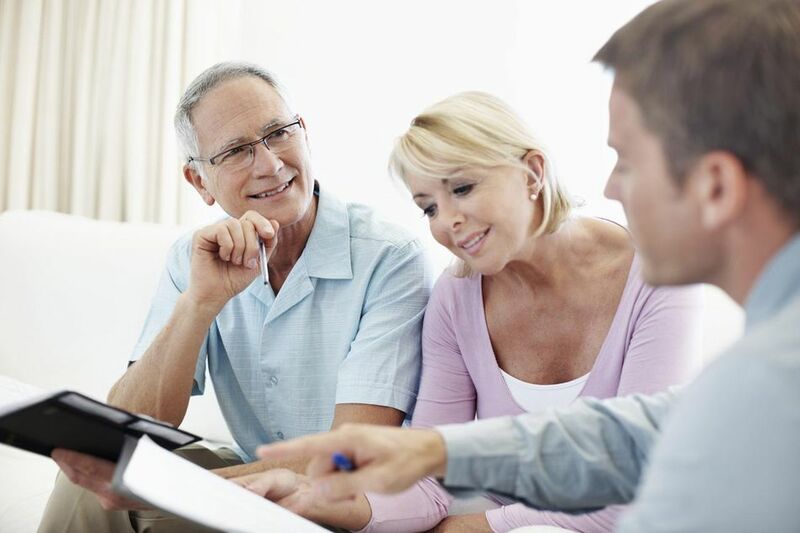 Frankly, if your life insurance agent keeps trying to have you change policies after you have explained your reasoning behind wanting term only, you may need to look for another insurance agent that will listen to you. Life insurance agents do offer a specific product that is needed, but a whole life insurance policy is not the best option. In fact, if you have whole life insurance, you should convert it to term life insurance policy. The only reason you would keep a whole life insurance policy is because you have a ​pre-existing condition that disqualifies you from taking out a new life insurance policy in the future. Insurance agents work on commission, which may be why they want to switch you over to a new policy, however, if you feel like an agent is too pushy you do have the right to shop around when you are ready to purchase a new policy. You should never feel pressured into doing something by any of your financial advisers. Explaining the reasons why you feel term life insurance is best will usually stop the conversation. Be firm once you have made your decision. Is Term or Whole Life Insurance Better? Is Getting My Life Insurance Through Work a Good Idea? Is It Ever a Good Idea to Self-Insure? COBRA Insurance: Any Cheaper Alternatives? Should I Use a Dental Discount Card or Dental Insurance? Do You Need to Have Health Insurance? Is a High Deductible Health Insurance Policy a Good Option?